This classic easy folded brim hat knitting pattern is a quick and easy knit and will keep your newborn, baby or toddler nice and toasty warm! 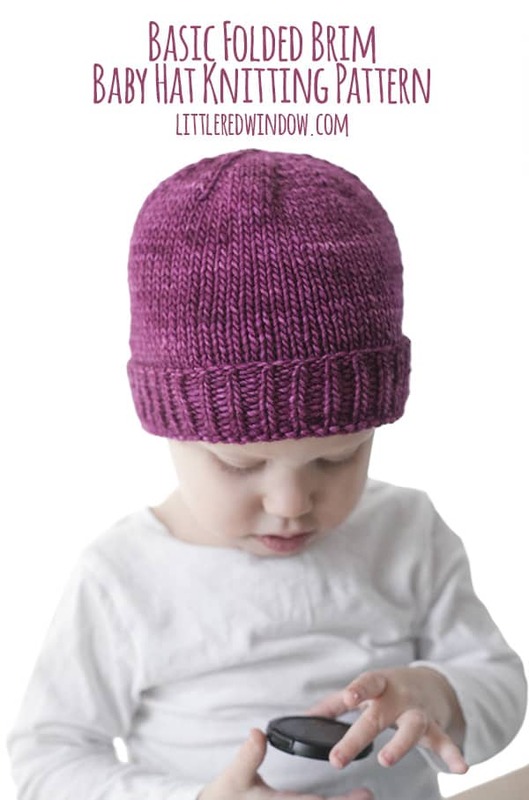 How cute is this classic folded brim hat knitting pattern for baby?! 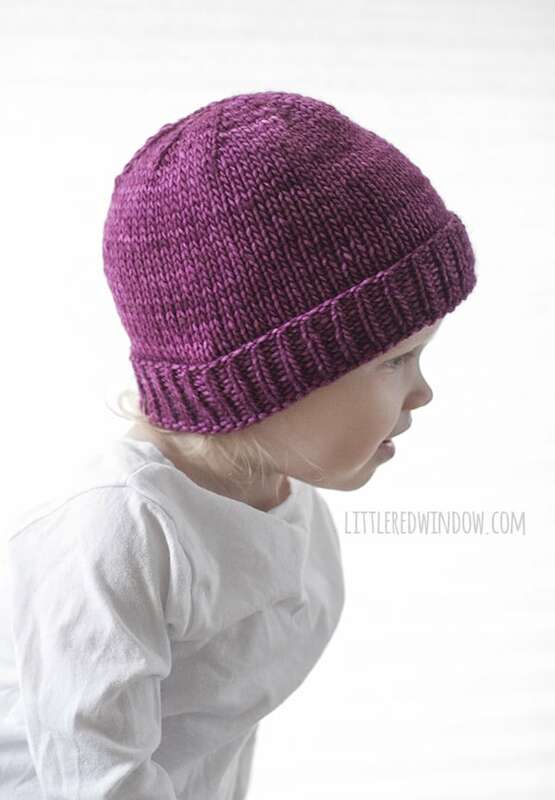 Welcome to week 4 of my Back to Basics easy baby hat knitting pattern series. This hat is about as classic and versatile as it comes, a nice neat stockinette stitch beanie with a simple rib knit folded brim. As you can imagine, Baby V has kind of a lot of hats. But she’s been wearing her easy folded brim hat on repeat all winter because it’s really warm and cozy and looks great with everything. I mean, this gorgeous purpley-red hand-dyed yarn doesn’t hurt anything either, but really, it’s just a great basic baby hat. 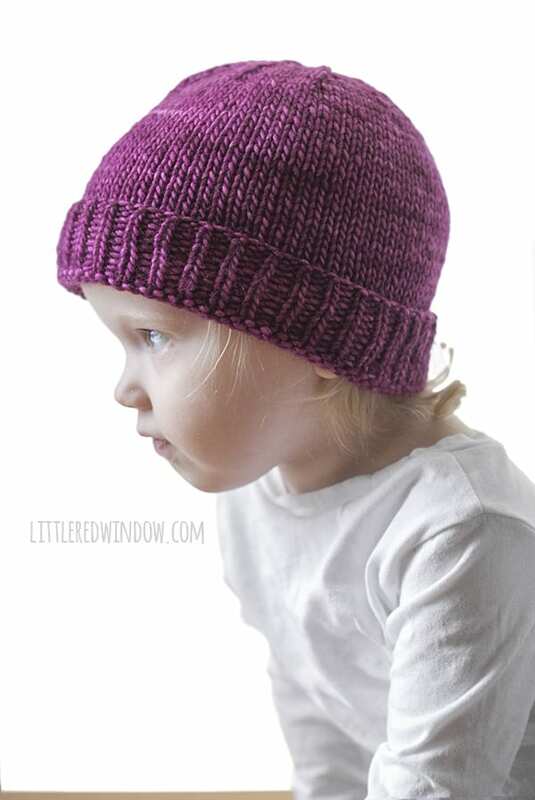 It takes a little bit longer to knit up than my original Easy Baby Hat, but the folded brim hat pattern looks adorable and it adds an extra layer of warmth over your little one’s ears. And where we live, in windy Chicago, that’s worth it! I also like a folded brim because it gives you a little wiggle room as far as how long the hat will fit. 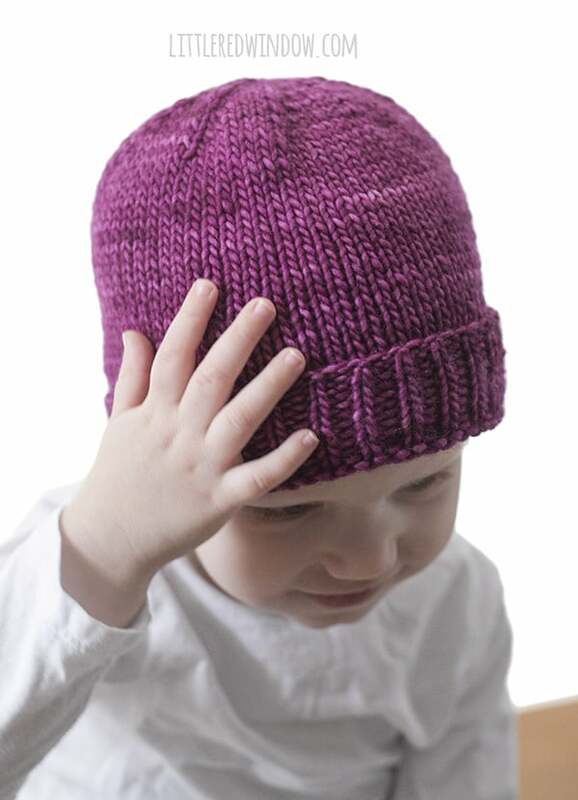 As your little one grows, you can just fold up the brim a little less! It’s perfect! 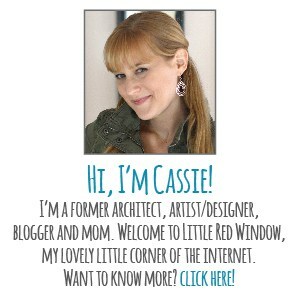 Using long-tail cast on, cast on 72 stitches onto your circular needles. Join to knit in the round and knit 1 stitch, purl 1 stitch in a rib stitch for 1 1/2 inches. Then knit all rounds until the hat is about 5 inches long (measure with the brim folded up). And that’s it! 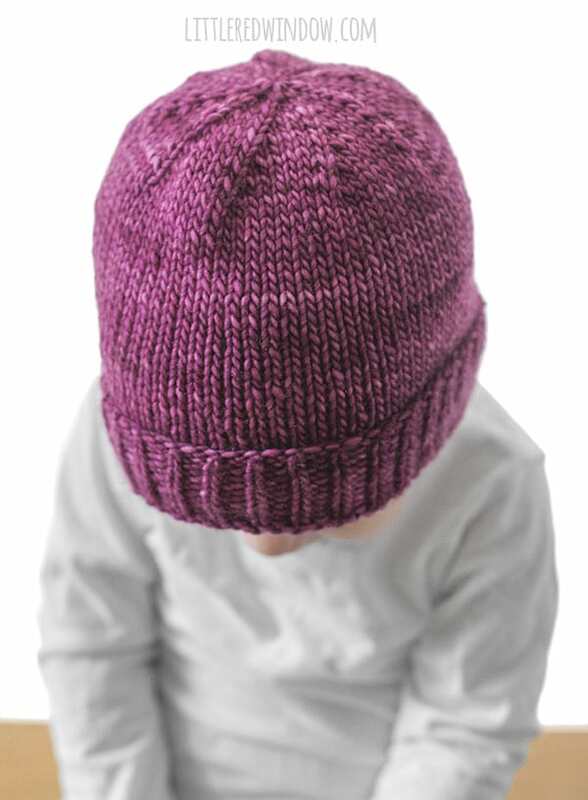 If you want a super easy to print basic baby hat knitting pattern that includes sizes 0-3 months, 6 months, 12 months, 2T+, click the button below!